Son of John and Maggie Riley, of Burnley; husband of Lily Riley, of 16 Back, Halifax Rd., Briercliffe, Burnley. Formerly 23647, R. Lancs Regt. Mrs Riley, of Back Halifax Road, has just received official confirmation of the death of her husband, Pte R H Riley (27415) who died of wounds on October 22nd. Pte Riley, who was 25 years of age, enlisted on June 1st in the King's Own Royal Lancasters but on August 28th he was sent abroad and transferred to the Border Regiment. The family came to Briercliffe some two years ago from Burnley. 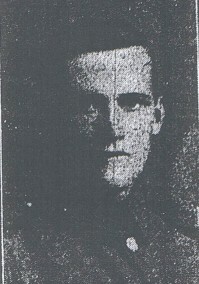 Pte Riley was formerly employed as a weaver by the Queen St Manufacturing Co. He was connected with St Mary's RC Church, Burnley and greatly respected. He leaves a widow and one child.